At Locksmiths they can proudly say that they improve the security of all of their customers so whether you are getting home insurance and need 5-lever mortice dead locks installed on your doors as most insurers insist on it! Or if you are moving into a new business property and want to make sure that the building you are working with has adequate security. 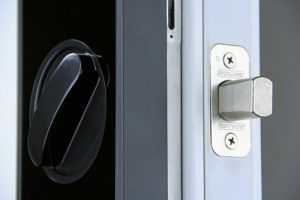 Locksmith Twickenham can install many different kinds of high security locks to make sure that your property is completed protected with British standard locks. If you wish to carry on using the exact same type of lock they can offer you a like for like swap usually on the spot for most common lock types. If you are a landlord who is about to start letting to students you should install all you own locks on each separate bedroom this protects you insurance wise. We suggest a high security mortice dead lock rather than a Yale lock that can lock automatically when closed which can lead to you getting lots of late night calls expecting you to fork out for keys left inside. 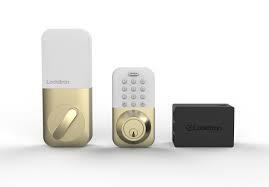 Locksmiths aim to provide a wide range of lock installations day or night. 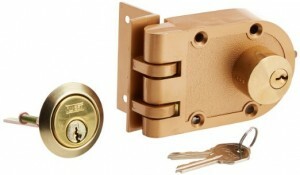 We can install any kind of lock, from mortice dead locks to simple Yale locks. So whatever your needs, they can provide the solution for you. if you are unsure of what type of lock you need installed, they can come to you with a selection of locks and you can together choose which lock type would be most suitable to keep you, your family and your belongings safe. 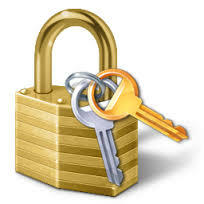 If you are unsure of what locks you need in your home to make it as secure as possible give them a call anytime. What is the most secure front door lock? The most important point of any home or business security solution is the entry and exit points. Without the right type of protection in place for these vital nodes in your overall security. Many security features that you add will lose some or all of their effectiveness. Installing a good front door lock begins with becoming aware of what it is. This doesn’t just mean a high security lock, but many factors play a part. Such as what type of door material you have, the frame it is installed upon. What type of screws and bolts are used to fasten the hinges and so on. What you can do to improve your door security straight away. Is inspect the lock, the door and the frame. For any potential cracks, or weak points. Take notice of signs of wear, tear and weakness. Even if you’ve walked through the door a hundred times the last couple of months, you’ll be surprised what you will find upon closer inspection. If there is something which you think is not right with your front door lock. Call us at any time and discuss how to ensure you are secure. In your inspection of the door also take notice of what type of locks are installed. British standard locks are marked with the sigil. If no mark is to be found, chances are that your front door lock is out of date. Lastly, the most important thing that you can do for improving your door security. Is make sure that the lock is engaged. It may sound silly, but an unattended unlocked door poses a fatal security risk. Other options for improving your door security at home or at work are to have adequate lighting and CCTV cameras in operation. Making a good security situation for yourself at your residence or at your workplace is something that today needs to take a spot high on the priority list. For one, the risks that you face today as homeowner or as a business are many and the stakes are high, especially if you are running a small business to whom a break in and theft could leave it in ruins. By getting in touch with your professional locksmith service team today you can find the help you need to make your place of work or your home to a safe and secure place which you don’t have to stress or worry about. With the help of the great team here you will be able to ensure that you are in line with the guidelines of your insurance policy to financially secure as well as find the products and features which will be the most efficient to your needs for physical protection. High security locks, security and monitoring systems suitable for both home and work situations as well as the reassurance that you can call the our service team at any time if there is ever something that you need urgently. The team is prepared and ready for your call at all hours and if you are stuck outside and need emergency access, your locksmith service team is the one to call. Fast to site and a guaranteed fast resolution. Come to the friendly hard working team here for all your security needs and live your day to day life in a more calm and less stressful way. Your questions are welcome, your quote is competitive and available swiftly once you give us call, and your daily needs as well as your larger jobs are catered for in a flexible way. Your locksmith service team are here for all you require security wise, and with the experience and training needed for the job, you will always come away in the most satisfied manner, we will make sure of that. The experienced locksmith team of specialist would like to bring you who are looking into security for your business up to speed. Please enjoy the video below which we share in hope to give you and introduction to some of the different systems available out there today. We hope that this will help you in how you move forward with your own thoughts on security. It is the recommendation of any great locksmith service that as a business always seek the advice of a professional if you are new to the area. The lovely team here is but a phone call away, and you can dial our number at any time, regardless if you are in need of repairs, installations services or if you just have questions and are looking for advice. You can rest assured that the team here is always happy to help and assist you with any security questions you may have, and aid you in finding the right direction for your business, keeping both physical and financial security in mind. Don’t hesitate to get in contact today. Most doors and most people today have locks, which are used on a regular bases installed on their doors. It’s uncommon for doors to be left unlocked today, simply due to the fact of the forecast of the world today. Your locksmith service team understands well the risks of leaving your doors unlocked today, which is also why we would like to send out a message to home and business owners out there today. Although you may be in the habit of always locking your doors, have you ever wondered what it is that you are actually locking it with. uPVC door locks are flimsy and vulnerable to ‘snapping’. This is when the whole mechanism is simply broken of and manipulated. After all, if this little chunk of metal is all that is protecting your belongings when you are away in a uPVC door lock, and all that keeps threats out when you sleep, is it not worth just a few extra minutes of your thought. Our team is aware that today there are a countless number of locks installed and in use as protection on UK homes which are of such a low standard that they can be bypassed by an experienced burglar or thief in a matter of minutes, sometimes even seconds. So take some time out to think about your locks today, and get in touch with this caring locksmith service team with your questions. A decent lock which can withstand force and are difficult to bypass quietly is of relatively low cost, especially if you take into account the reason why it’s there, and what it is protecting. We can install, stronger, anti-snap locks to improve any uPVC door locks. This is just one the simple ways you can improve home security. On top of that, our service team are always on the industry market finding the right deals for you, our prices are competitive and quality is guaranteed. A small action with potentially great and lifesaving potential, get in touch with the experts here today to find out more. The first and most vital point of your situation as far as security goes for you at home or at work, is of course that of the natural entrance points of the building. Getting the right type of up to date locks on all your doors is something of high importance, and your locksmiths service team cannot stress enough just how vital this point is. If your security had to be put down to one point, regardless of what building it is regarding, what type of lock you keep on your door will no doubt the be key feature. Make sure there is a high security lock installed. There are today a range of locks which are provided by known manufacturers and produced by trusted brands which one can attain, your locksmiths service team can help you find the right type for your home, your office, your sense of style and of course above all, you security situation. Installation of a lock is something which should always be left to a professional locksmiths service, simply as it ensures the integrity of the security kept. Many locks which exist on the market today are not up to standard and are easily bypassed by potential burglars and thieves. So to ensure that you have the right type of locks, installed in the right type of way, speak to your locksmiths service today. Here is also stocked a range of locks which are up to the industry standards and provide the highest level of protection against attack, so with your call today there is also possibility to arrange quick installation at a close time which suit you. So feel free to get in touch and ensure you are better protected today!